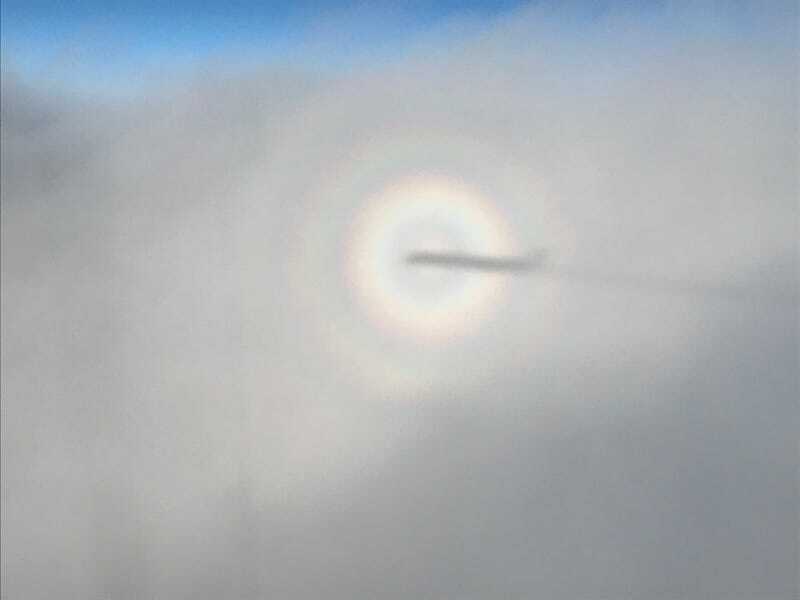 Brocken Spectre glow is the rainbow affect around the front of our shadow as we fly just above some high clouds. Looks like our MD-90 is generating a contrail as well. Cool to see.